It makes perfect sense. Why not launch the most advanced Unmanned Aerial Vehicle, or drone development operation, in the place where Wilbur and Orville Wright ignited our aviation industry? The City of Springfield, OH thought exactly that, which is why it is teaming with the U.S. Air Force Research Lab, Springfield-Beckley Municipal Airport, Wright-Patterson Air Force Base, the State of Ohio, DriveOhio, the Dayton Development Coalition, and local and national manufacturers and suppliers to help bring drone aviation online regionally and nationally. That Springfield and nearby Dayton, a half-hour drive, would serve as the hub of the initiative seems obvious enough. After all, the Wright Brothers turned their invention of the airplane into the start of a robust aerospace presence in the area. Today, that industry employs 110,000 people in a 14-county area surrounding Dayton and Springfield, according to the Dayton Region Manufacturers Association. Since drones represent the newest mass wave of aircraft, and the sky’s the limit on their future commercial and law enforcement value, the area seemed ideal. It became more ideal when the partnerships formed, according to Breck Woodard, VP Aerospace Systems for the Dayton Development Coalition. “We have 1,200 manufacturing and supply chain operations that are and can be doing UAV work in the area,” Woodard said. “With the Air Force Research Labs in partnership with the State of Ohio, we’re working on both military and civilian applications. As the FAA sorts out flight paths so UAVs can have a regular presence in the sky to do commercial tasks, such as delivering goods, we want to be able to reach out to companies across the country and world to do their R&D, production, marketing, and shipping. “We feel we have the best ecosystem for UAVs in the country, partly because of partnerships based on close proximity. We just don’t see any other place that can do what we do, or have this collaboration of businesses, municipal governments, the state and the Air Force,” he added. 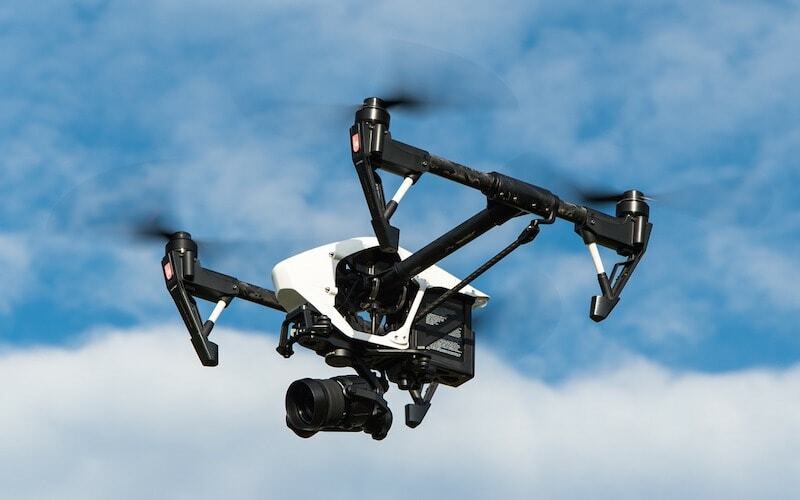 UAVs are already in use in the area through transportation monitoring, under the auspices of the Ohio Department of Transportation and DriveOhio. They fly out of the Springfield-Beckley Municipal Airport, which is ramping up to be a major drone flight center as it develops the Ground Based Detect & Avoid System, the necessary cog before the FAA can fully open airspace. The collaboration of Springfield, Dayton, the Air Force, and Ohio agencies offers up an incredible opportunity for younger workers and innovators: a chance to enter the ground floor of the 21st century’s prime aviation player. “We’re definitely capitalizing on the research provided by the various Ohio universities, and letting the students know that UAVs will amount to a great stay-at-home career choice,” Franzen said. The City of Springfield is an ideal centerpiece. It is one of Ohio’s shining stars, ranking second in the nation by SiteSelection for new or expanded economic development projects in small cities in 2017. From 2012 to 2017, nearly 10,000 new jobs were created in a city of just under 60,000 – an incredible number. Furthermore, every dollar invested in Greater Springfield returned $3,153 in capital investment in local businesses – another ROI any city would covet. The city’s Springfield-Clark Career Technology Center, Global Impact STEM Academy, and CareerConnectED internship program infuse that growth by educating and training a workforce perfectly suited to today’s demands – right up to powering the nation’s biggest UAV manufacturing and commercial corridor.